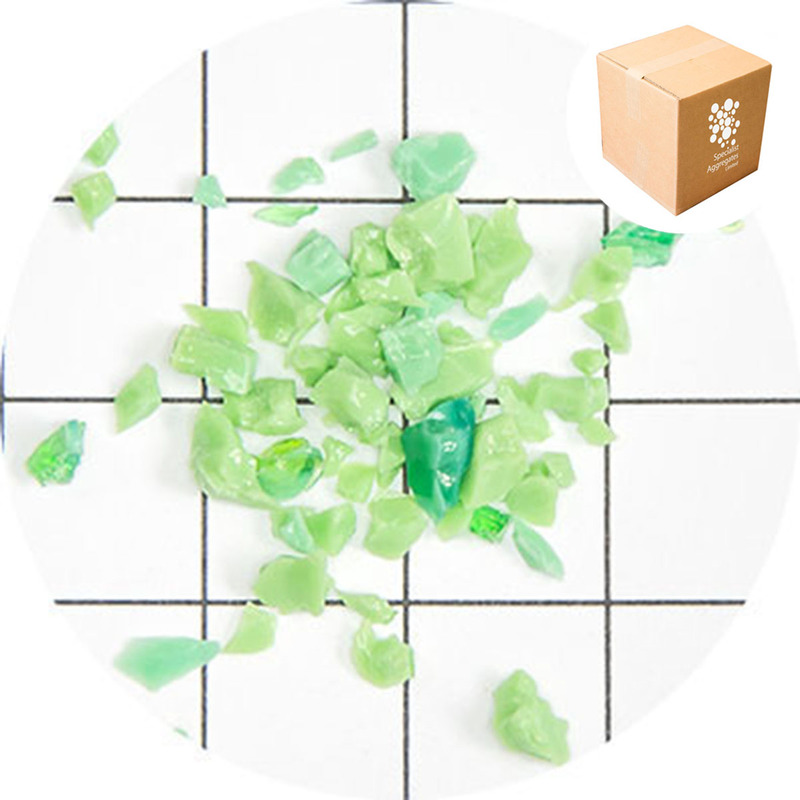 The product image is shown a a 1cm x 1cm grid. 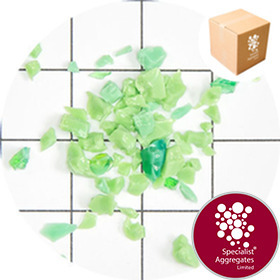 Striking opaque Paris green crushed glass product (Not a clear glass with a colour coating). Colourfast and waterproof in external environments, clients have used this product in polished terrazzo and resin flooring. Product is generally supplied in a dry state but please advise if this is critical to your application. Availability: Generally held as a stock item. 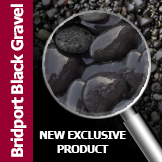 Order securely on-line or call 01889 580 660 to discuss requirements, obtain current samples and check availability.